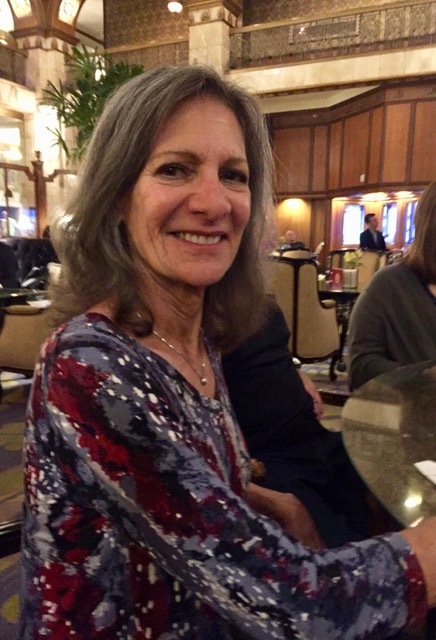 During this past week Dean’s sister, Martha, and her husband, Dave, have been visiting Tom and Dean in Denver. Martha was out from Florida in 2005 when her mother died and Dean and Tom had a celebration of her life. So, this is Martha’s first visit to Denver in 13 years. She and Dave don’t like flying. Patricia found Martha fun to converse with. To our amazement, Martha checks the blog every morning and has followed it faithfully since its inception in July 2009! 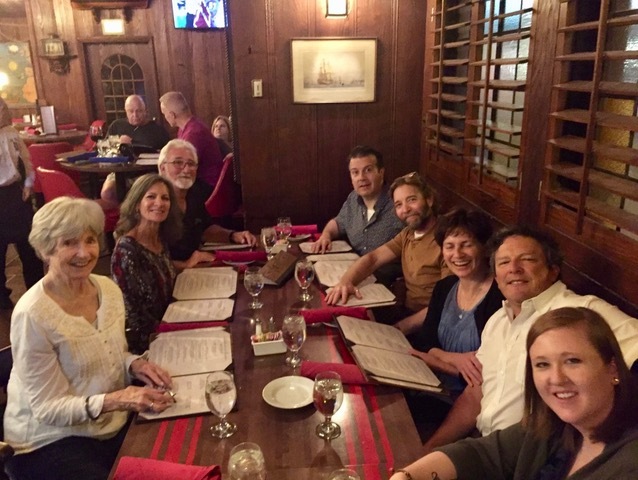 Tonight Patricia joined Martha and Dave, Tom, and Dean, daughter Mary and her husband Greg, and their son Joe (not pictured) and his girlfriend Emily for a farewell dinner at the Ship’s Tavern in the Brown Palace Hotel in Denver. Nice to know of another blog reader! What a surprise to see Martha’s picture here! She and Dave are The Best and we had a great visit. We will miss them.